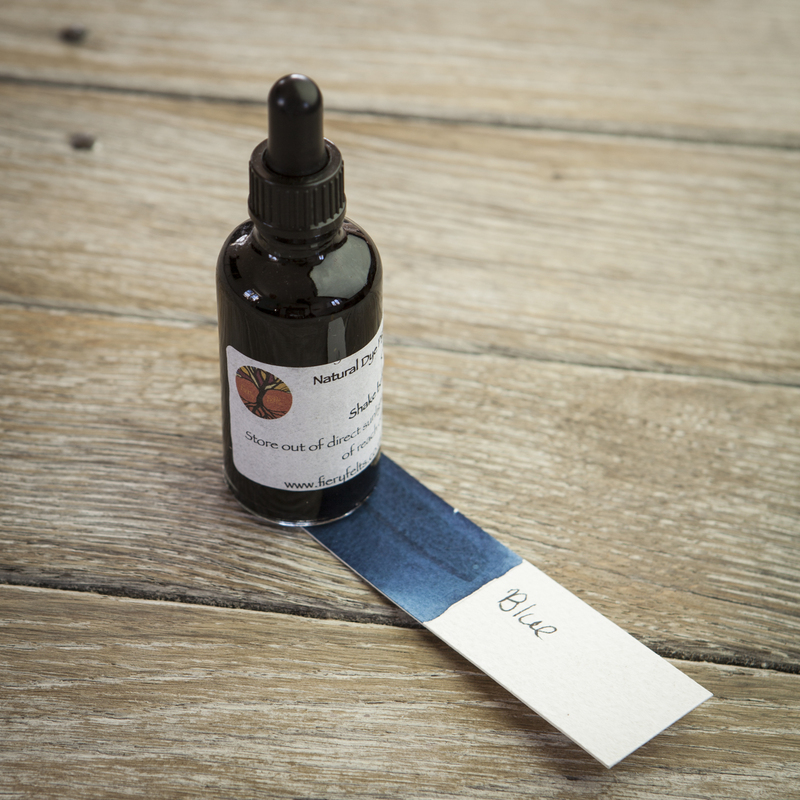 Blue Natural Dye Pigment ink is made from the highest quality Natural Indigo and is a rich warm royal blue. Mixed with yellows it gives wonderful grassy greens. If using Blue ink as a fabric paint, dilute by 50% before use or paint onto wet fabric, otherwise it may damage fine fabrics.